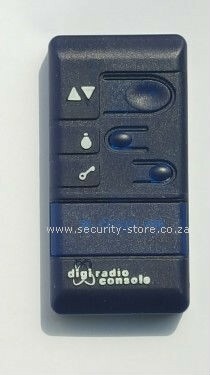 Wireless console for Digidoor garage doors. Works with Digidoor II, Digidoor III, Digidoor 24 and any Digitronic receiver. Operate function, light button and lock switch. Uses a GP23 12V alkaline battery.